Imagine you’re at a wedding or another event, and you make a joke—and the woman next to you makes a face. What does it mean? Did she think your joke was funny, insensitive, or just confusing? In situations like this, reading facial expressions is important—even when they flit by quickly. How you read an expression usually determines how you react—and often, reading it correctly can make the difference between a socially satisfying moment and a socially awkward moment. Such moments add up to define overall social savvy, comfort in social situations, and self-confidence around others. 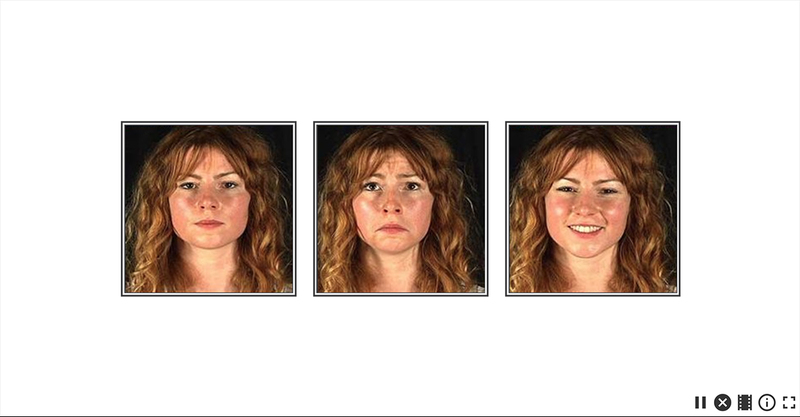 Face to Face is designed to exercise the social cognition network in your brain by pushing you to correctly interpret facial expressions. In Face to Face, a face shows briefly on screen. You decide what expression you think it shows. Then you see a set of faces and choose the one showing the same expression as the first face you saw. For instance, if you think the first person looked angry, you find the person who looks angry in the second set and choose him or her. The number of faces to choose from increases from 3 to 6. The actor was asked to make a particular face. 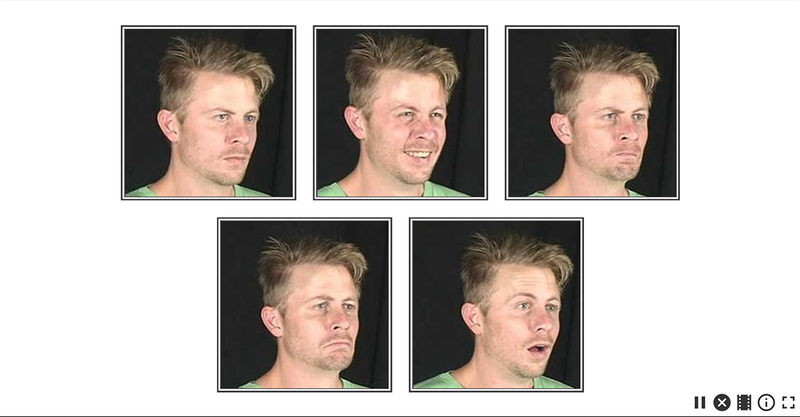 A series of people—both scientists and average citizens—were asked to rate the expressions. If they agreed on the expression a photo showed, the photo moved on. If they didn’t agree, the photo was cut. A facial expression recognition expert reviewed the photos. Despite this careful process, you might find yourself disagreeing with a particular categorization. For instance, you might see a face assigned to the “neutral” category that you think is sad. That happens sometimes—and you aren’t necessarily wrong (though the exercise might say you are!) But you do see it differently than most people. We needed to have challenging expressions included; if they were too easy, the exercise would let your brain relax, rather than challenging it to perceive more and more nuance. Your score is in milliseconds. As you improve, the faces flash on screen for fewer milliseconds. A lower score is better!